A raffle is a method of distributing prizes among people who have paid for a chance to win a prize, generally determined by drawing tickets. A raffle is considered a form of lottery or gambling by the Internal Revenue Service. As a result, there are a number of restrictions and reporting requirements on all raffles. An online raffle brings additional obstacles for nonprofit organizations, particularly because online gambling is illegal in many states. As a result, using an online raffle for fundraising must be approached carefully. Nonprofit organizations are required to report raffle prizes if the payout is at least 300 times the amount of the wager and the amount of the prize, minus the wager, is over $600 If this is the case, the organization must file Form W-2G with the IRS, and give a copy to the person who wins the prize. Further, the winner must report their prize income on Form 5754. For winnings over $5,000, the nonprofit must withhold 25 percent of the income and report this amount to the IRS on Form W-2G. If the prize is not a cash prize, and the fair market value is over $5,000, the winner must pay 25 percent of the value to the nonprofit, minus the cost of the wager. Further, if the winner does not submit her Social Security number or other tax number to the organization, and the raffle prize must be reported, then the nonprofit must withhold 28 percent of the prize income. This is known as backup withholding. In addition to Form W-2G, the nonprofit must report the withheld income on Form 945, Annual Return of Withheld Federal Income Tax. With few exceptions, the IRS considers income from raffles to be unrelated business income. For most activities that a nonprofit engages in, they are exempt from taxation on their income. However, for activities that are unrelated to the nonprofit's exempt purpose, it must pay taxes on that portion of the income. 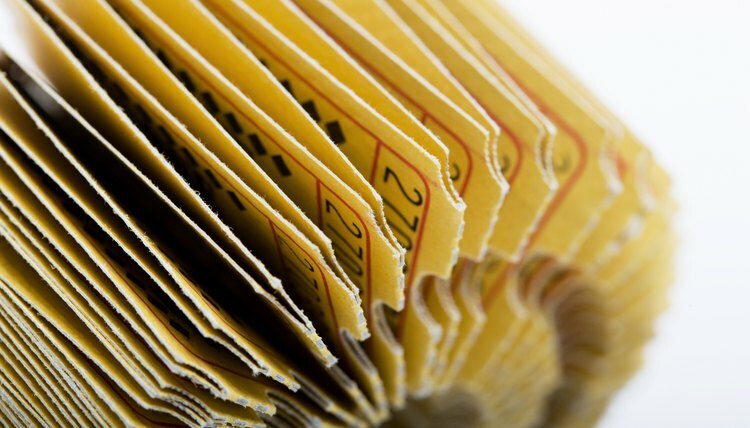 Although a raffle may ultimately go to pay for exempt activities of a nonprofit, running a raffle is not substantially related to the nonprofit's exempt purpose. This means that nonprofit organizations must pay taxes on income from a raffle. The federal Wire Wager Act makes it illegal for a business to regularly engage in online gambling, or for online gambling wages to provide regular and essential income to an organization. Therefore, your organization should not rely primarily on online raffles for income, nor should you run an online raffle with any regularity. In addition to federal restrictions and reporting requirements on raffles, you must also follow the regulations for gambling within the state that you are running a raffle. In some states, gambling and online gambling are illegal. Other states make exceptions to gambling laws for nonprofit organizations. However, because some states do not make any exceptions for online gambling, online raffles should not be open to every state in the country. Instead, research the gambling laws for the state where your nonprofit is located. If allowed in your state, start an online raffle that only allows people in your state to buy tickets.